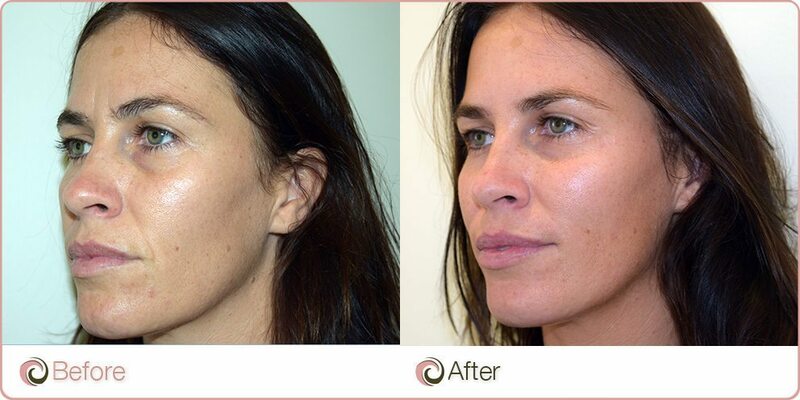 A Cheek Augmentation uses dermal fillers to emphasise the appearance of a person’s cheeks and mid-face. Filler injections to the cheeks can restore lost volume and can create a fuller, more youthful appearance. The thickest form of Dermal Fillers are utilised during a cheek enhancement. Patient discomfort is minimal and is minimised via local anesthetic and a blunt needle, which also reduces the risk of bruising. Instant improvements are seen, with final results evident in 5 – 7 days, after swelling subsides. Results last 18 – 24 months. Cheek Enhancement treatment prices vary depending on your overall situation and expectations. Dr Joseph Ajaka's 20 Minute Makeovers using Dermal Fillers on lips, cheeks, hands, chest and nose! Star Inspired Surgery - What are people asking Dr Joseph Ajaka to create for them? Will I experience any pain? What can I expect after Dermal Fillers for Cheek Enhancement? Results. What and when can I expect them? At which clinic can I undertake Cheek Enhancement? As we age, our cheeks become hollow and lose volume. The fat pad that sits in the cheek area moves south, leaving a hollow area in the cheeks. Cheeks can be enhanced using Dermal Fillers. We use the thickest form of the Dermal Filler, which is a smooth injectable gel that is made from a natural complex sugar (hyaluronic acid). Naturally occurring in human skin, this also assists in skin hydration by attracting and holding water. It is specially formulated to be used deep in the skin to add natural looking volume to the mid-face and cheek bone area. Because this is the thickest dermal filler, it gives the best lifting effect and is best at restoring facial volume. The Cheek Enhancement procedure first involves a small anaesthetic injection to numb the area.The Dermal Filler is then used to augment the cheeks. During this cosmetic procedure, a blunt cannula is used to enhance the cheeks, while minimising potential discomfort and bruising. The Cosmos team have been using the same brand of Dermal Filler for mid and lower face enhancements since its launch with amazing results. Additionally, dermal fillers can be used on other facial areas at the same time as on the cheeks. They can be used to treat the chin, nasolabial folds, eye area (tear trough), the nose, and during a lip enhancement. The incorporation of anaesthetic into the injectable fillers, and the use of a blunt needle, makes the procedure much more comfortable with minimal patient discomfort. You will have mild swelling for approximately 2 days; although in some cases, this can persist for up to 1 week. The swelling or bruising can easily be covered with make up should you need it. Lumps are rare when performed by a professionally trained dermal filler injector and can be dissolved with a simple injection when a non-permanent filler is used. You can expect to receive instant, natural looking and long lasting results with this filler treatment. In most cases, the final results of cheek fillers will be evident approximately 1 week after the swelling subsides. This will last 18 – 24 months. (*Results may vary from patient to patient). During clinical trials of Dermal Fillers, no patients discontinued the study due to lack of effect or any adverse side effects. Recorded adverse events were usually temporary injection site reactions, and the majority of which lasted only three days or less. Patients sometimes experience injection site redness, pain, firmness/hardness, swelling, lumps/bumps, bruising, itching and discolouration. Your initial Cheek Enhancement consultation and subsequent procedure can be undertaken at one of our cosmetic clinics in Australia (either in Sydney, Canberra, Adelaide or the Gold Coast).